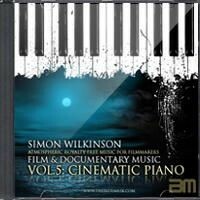 Royalty free music for documentaries & film from composer Simon Wilkinson. These music collections are aimed at film and documentary makers looking for atmospheric soundscapes and background stock music that’s pre-licensed and ready to use in all their productions for a simple price. Paying the one-time purchase price gives you a lifetime license to use the music in all your work without needing to pay a new fee (or ‘royalty’) each time you want to use the music in a new video. You can sell your films on DVDs or downloads, broadcast them on worldwide TV as well as using the music in monetised YouTube videos, mobile apps, trailers etc. So you can earn money from your work and don’t need to ever pay me anything more than the initial purchase price of £39.99. Listen to short preview clips from each collection below or click each album for a fuller description, example videos and full length previews of all tracks. Royalty Free Music Vol. 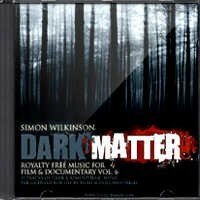 1 contains 15 atmospheric piano soundtracks and dark textured ambient soundscapes and music for documentaries and films. Includes a lifetime royalty free license to use the music in all your documentaries, films and videos (including monetised YouTube content) with no further fees. Hear short clips from all the tracks in the preview above or click below for full length track previews. Vol. 2 of my royalty free music contains more dark atmospheric piano, ambient textures and soundscapes for film and documentary makers. Atmospheric music that's ideal for themes of science, astronomy, sci-fi, crime, human interest and more. Hear short clips from all the tracks in the preview above or click below for full length track previews. 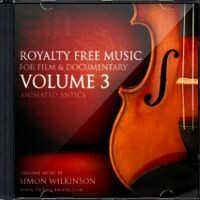 Vol.3 of my royalty free music focuses on plucked strings, lively orchestral staccato rhythms, upbeat pizzicato sections and delicate harps. Ideal intro music for science, nature and travel documentaries, wildlife shows, Kickstarter videos, human interest stories and animated films. Hear short clips from all the tracks in the preview above or click below for full length track previews. Royalty free music Vol. 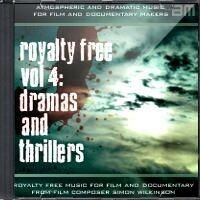 4 contains 11 tracks (45 minutes) for tense film thrillers, dramas and crime documentaries. Ranging from frantic dramatic action, chase and fight music to dark subdued atmospheric tracks, ambient soundscapes and tense, emotional dramatic underscores. Hear short clips from all the tracks in the preview above or click below for full length track previews. 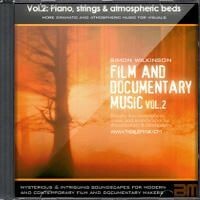 Royalty free piano music for documentary and film makers Vol. 5 focuses on atmospheric and cinematic piano. Dramatic and emotional instrumental piano album including a lifetime license to use the tracks in all your films and videos. Hear short clips from all 13 tracks in the preview above or click below for full length track previews. Buy once, use the music repeatedly in all your videos (including monetised YouTube videos). Vol.6 of my atmospheric royalty free music makes the perfect soundtrack for film & documentary makers needing dark and edgy music for their film soundtracks, videos, trailers and documentaries. Mixing piano with dark electronica the music is tense and ominous and ideal for crime documentaries, thrillers, conspiracies and dramas. The album comes with a lifetime license to use in all your videos and productions. Hear short clips from all the tracks in the preview above or click below for full length track previews. 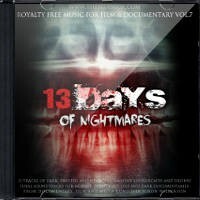 Royalty free horror music Vol.7 for documentaries, films and videos. A nightmarish collection of dark twisted soundscapes, subtle atmospheric horror drones and scary instrumental music to use in your horror film soundtracks and dark documentaries. Hear short clips from all the tracks in the preview above or click below for full length track previews. The included lifetime license means you buy once, then use repeatedly in all your videos (including monetised YouTube videos – please let me know your YouTube channel URL and I will ensure it's whitelisted for use). 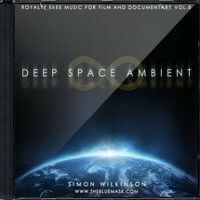 Deep Space Ambient is my 8th volume of royalty free music and focuses on atmospheric ambient space music. Ethereal electronic soundscapes, interstellar alien sound design, beautiful floating organic sound textures and deep space drones. One-time purchase of the album includes a lifetime license that lets you use the music in all your films, documentaries and videos (including monetised YouTube content). Hear short clips from all the tracks in the preview above or click below for full length track previews. 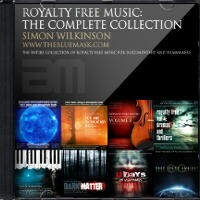 Royalty Free Music: The Complete Collection is a bundle of all 8 volumes of my atmospheric royalty free music. 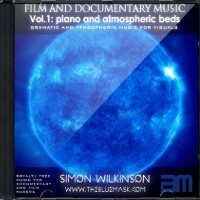 Over 6 and a half hours (101 tracks) of licensed atmospheric music for documentary and filmmakers with a 30% discount off the total price (saving £96). The included lifetime license lets you use the music in all your commercial productions, documentaries, films, trailers and YouTube videos (including monetised content). Atmospheric background music, dark soundscapes, cinematic piano, ambient drones and much more to add rich textured soundtracks to your visuals. Hear short clips from Vol.1 in the preview above or click below for previews from all 8 collections.